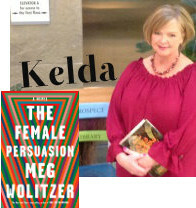 There’s no denying the timeliness of Meg Wolitzer’s The Female Persuasion. It resonates with our current political climate, taking an empathetically incisive look at inter-generational feminism. With Wolitzer’s talent for prose, she captures emotion with just a single image. If a novel could be derived from the #MeToo movement, this is it.